1. The Company will not be held responsible for the actions of its members. 2. No open tins allowed on the bank (i.e sweetcorn/luncheon meat etc.,) Members must not discard litter, fishing line, hooks or unused bait on properties owned or rented by the Company. 3. The discharging of any dangerous weapon (excluding bait catapults) is forbidden unless the Directors have given written approval. 4. Proof of membership of the company shall be shown to other members and bailiffs on request, once membership of the requester/bailiff has been established. 5. There shall be no fishing on Company controlled Rivers during the coarse fishing close season. 6. The Directors written approval shall be required to permanently add or remove fish from any Company waters. 7. Every member shall have a suitable landing net with them, and be responsible for the safe handling and return of all fish. All fish over 10cms/4ins long must be landed using a landing net. 8. No Carp, Tench or Bream shall be kept in keep nets except at Company competitions, the use of Carp sacks is forbidden on all Company waters. 9. Keep nets shall have a minimum length of 3 metres and a diameter of 45 centimetres at all rings. When in use at least 1 metre shall be in the water. All nets must conform to legal requirements. 10. No dogs on Company property, except those who have been given permission by the board. 11. 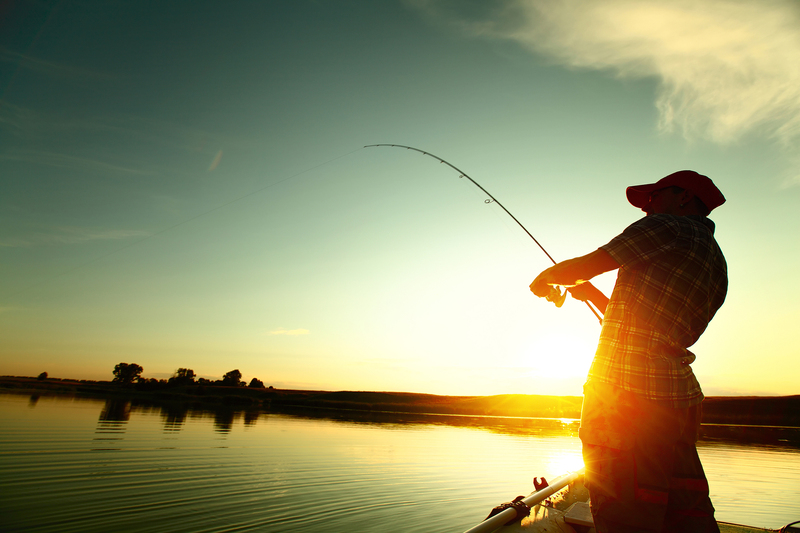 No member shall use the following methods or tackle on Company owned or controlled waters. a .No more than 3 rods per angler. c. No fixed method feeders, paternoster rigs or tether rigs. d. No triple hooks except for Pike fishing. e. No live fish baits. f. No barbed hooks (except whisker or micro barb). g. Boilies may be used on all Company waters. h. All Braid mainlines are banned on all club waters, braid hook lengths are not banned. 12. Bailiffs, Company Officers and Directors shall have the authority to advise members who use unsuitable equipment. 13. Company awards shall not leave the island. 14. Junior members shall not fish any Company waters after dark unless accompanied by an adult or senior member. An adult or senior member must accompany children under 16 years old at all times on Company property. Any 16 – 18 year old member fishing without an adult or senior member must pay the current Concessionary – Full Time Education Fee. 15. A MAXIMUM speed limit of 10mph must be adhered to on all company waters. All vehicles must be parked in designated spaces provided and under no circumstances be driven around the company water. 16. A valid Environment agency rod licence must be held by all members before commencing to fish. If fishing 3 rods the correct licence must be held. 17. In the event of a member leaving their swim temporarily, then hooks shall be removed from the water and any bait removed from the hook. 18. All members when CARP fishing Heron/Gunville Lakes must have ready for use an unhooking mat and landing net of minimum 32 inches wide, and a carp care kit.i.e Bonjela. 19. No unauthorised use of manned boats on any Company waters. 20. All users of bait boats must have written permission from the Board before use. 21. Members ar not permitted to have open fires on company property unless during a working party for the destruction of materials gathered during that work party. 22. Members are allowed two guest tickets each year. Members are responsible for their guests actions and must ensure that guests have the appropriate equipment and care kit. Please e mail iowfacmembers@gmail.com giving at least 48hrs notice, stating membership number, name of guest, venue and date fishing. An e mail will be sent to the member which must be taken with them to fishery. Bailiffs are aware “No e mail no guest”. Fishing is dawn to dusk only. 23. Members MUST turn left onto main road when exiting the Holliers site. 1. Only Company members will be allowed to enter the competitions except for the annual open competition which will be open to all. a. Adjust the start and finish times on the day provided that the start times are not changed without proper prior notice. b. Have the right to cancel, postpone or shorten the competitions as they sees fit. c. Allow any competitor to change a peg, if that peg is deemed unfishable. d. Peg the river Yar at their discretion. e. Allow, but only in exceptional circumstances, assistance to an angler to land a fish, and then only to the extent of handling a landing net. f. Appoint a deputy prior to the competition, if they are unable to attend themselves. g. Settle disputes between competitors regarding swims, the match secretary`s ruling will be final. 3. No floating baits, dead baits or lures, bait-boats or fish detectors will be used during any competition. 4. Only one rod and reel or pole to be used at any one time, although other rigs and rods may be made up ready. The use of a pole cup to feed is not allowed if using a rod and reel. 5. All Carp will be placed in a Carp only keep net, on no account will Carp over 1lb and silverfish be placed in the same keep net. 6. All freshwater fish species with the exception of Pike will count in the competitions, unless otherwise stated previously before the start. 7. All competitors will have 15 minutes at the end of a match to land fish caught during the competition. The Angler must declare “fish on” at the finish signal. 8. Ground baiting or loose feeding is not allowed prior to the start signal. 9. Plumbing the depth before the start signal is allowed. 10. The draw for all competitions will be one hour before the start signal. 11. All competitors are to remain at their swims for the weigh in. Unattended keep nets will not be weighed in. 12. In the event of a competitor leaving their swim temporarily all hooks are to be removed from the water and any bait removed. The Match secretary shall have the right to disqualify any angler in breach of match rules for that day, and their decision shall be final. Gunville Lake, Gunville Road, Carisbrooke. Behind Little Budbridge Farm, East Lane, Merstone. Upstream to the small pump house at Yarbridge may be fished all the open season. Downstream from the road bridge to the first cattle ditch fishing to commence July 15th until October 30th in each year as per the agreement with the RSPB. Members only NO DAY TICKETS. The left hand bank upstream of the footbridge at the old mill at Alverstone to the stile near the old railway track. There are occasions when there is little point in reporting pollution direct to the Environment Agency but all members are encouraged to inform one of the Company’s Directors of any pollution. On the other hand, if any member sees any evidence of what they consider to be serious pollution – numbers of dead fish, chemical smells or any unusual water condition, especially on the River Yar above the Burnt House abstraction point, they should inform the environment agency immediately. Anyone spotting pollution, poaching, flooding or any sign of damage to the water environment can ring 0800 807060 free of charge at any hour for assistance. The Board ask that a Director also be informed and the Company will refund any reasonable “out of pocket” expenses so incurred. NO MEMBER SHALL FISH ON ANY OF THE COMPANY WATERS WITHOUT HAVING A VALID ENVIRONMENT AGENCY LICENCE BEFORE COMMENCING TO FISH.